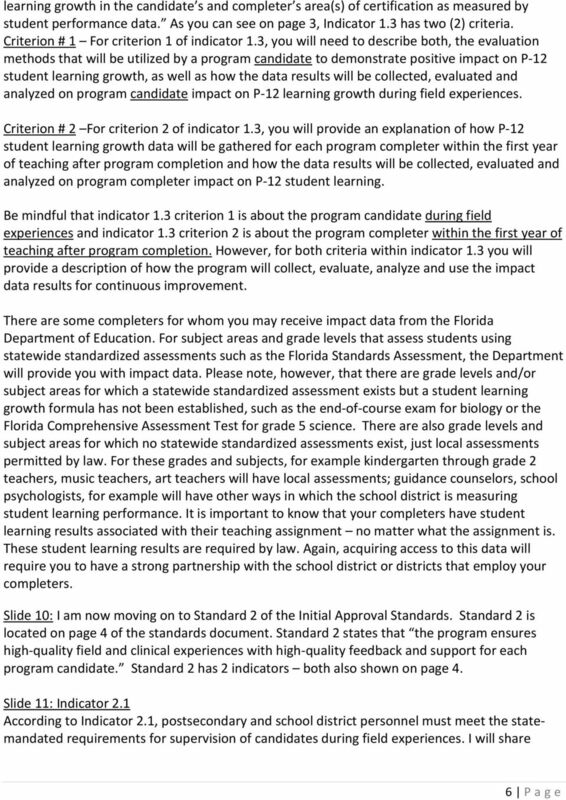 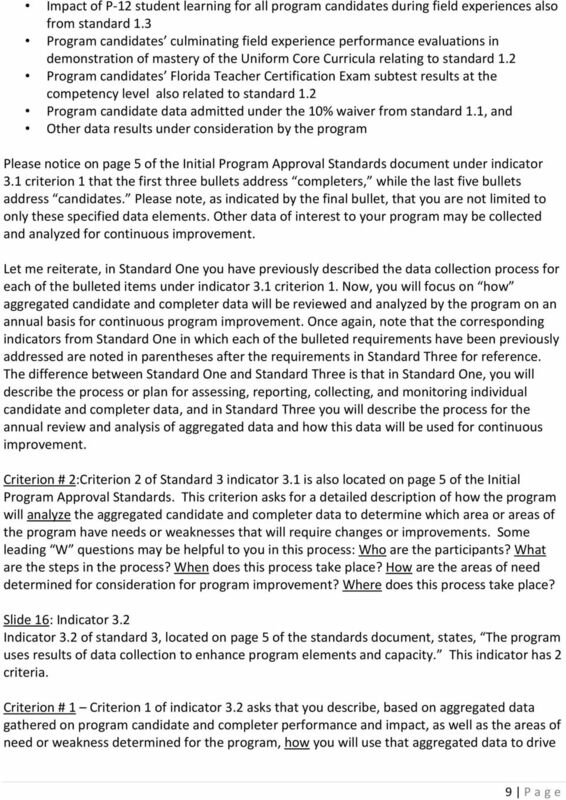 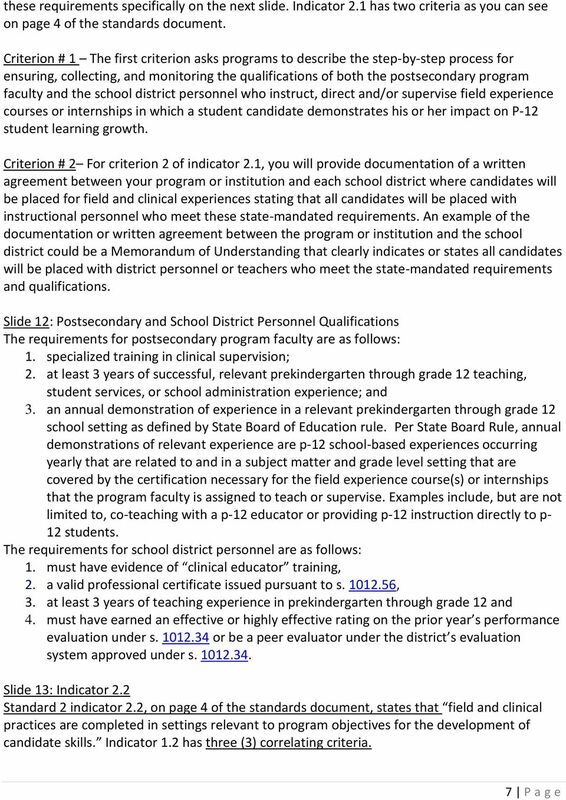 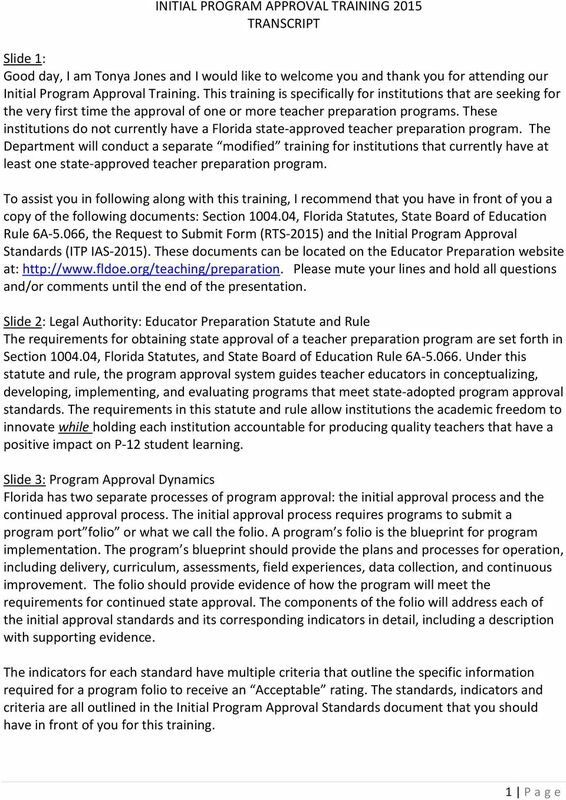 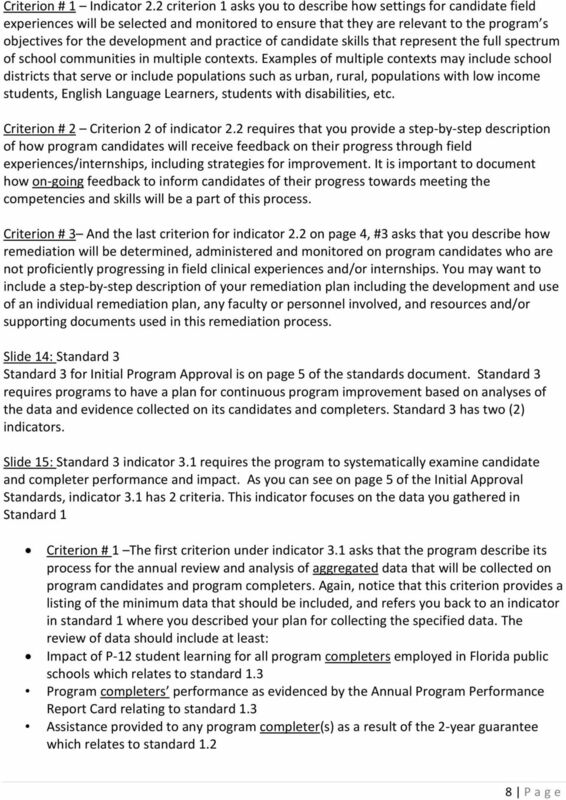 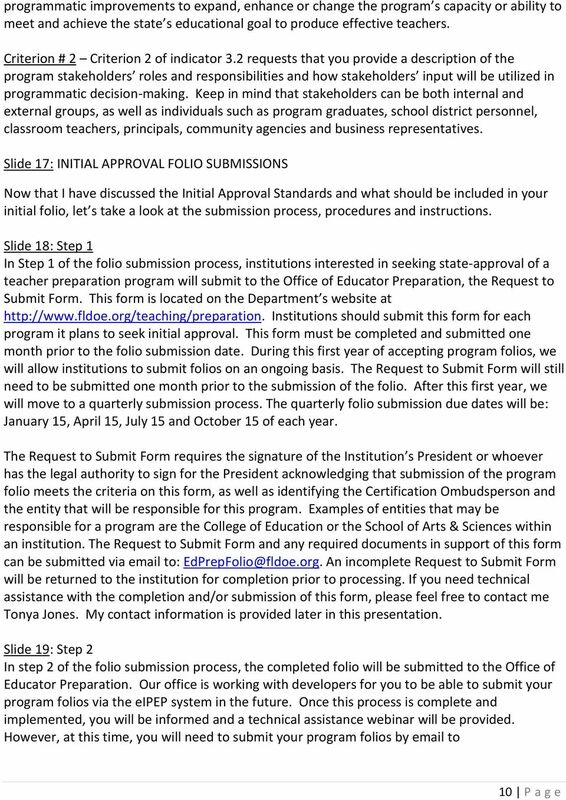 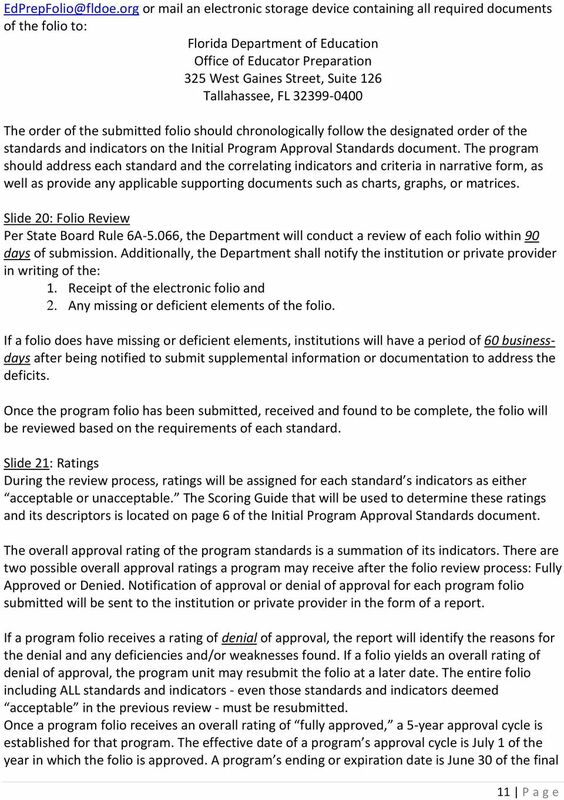 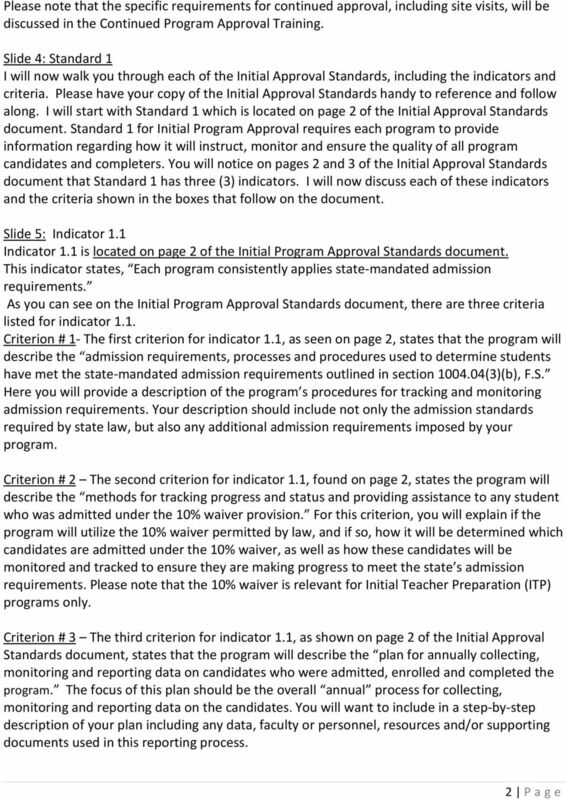 Download "INITIAL PROGRAM APPROVAL TRAINING 2015 TRANSCRIPT"
Evaluation of Educational Leadership Preparation Programs Based upon Approval Standards Adopted Pursuant to Rule 6A-5.081, F.A.C. 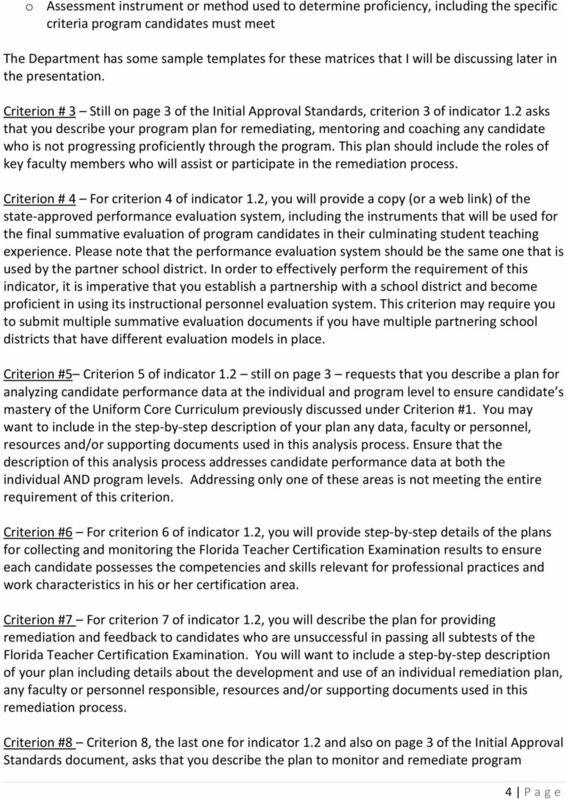 U.S. News & World Report and the National Council on Teacher Quality National Education School Review Survey This is an outline of the questions and documents that will be requested during the review. 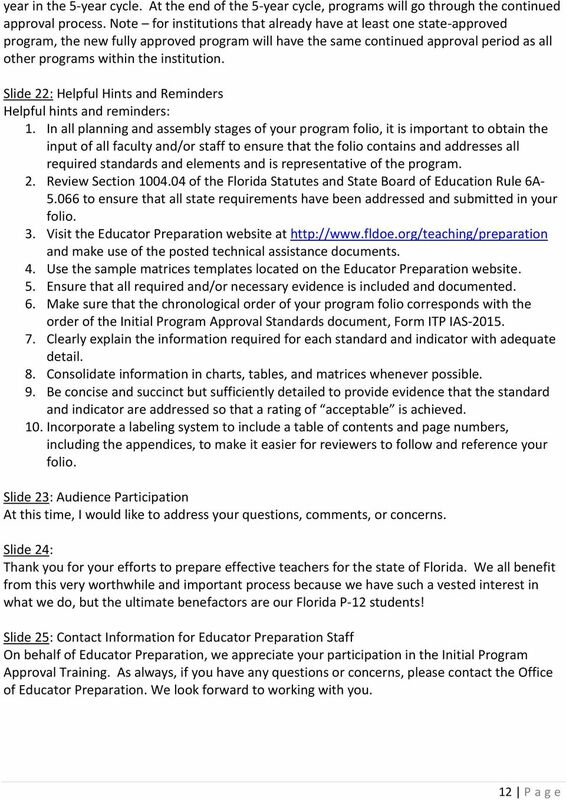 Our Mission: Reach All Teach All COMMONLY ASKED QUESTIONS AND ANSWERS. 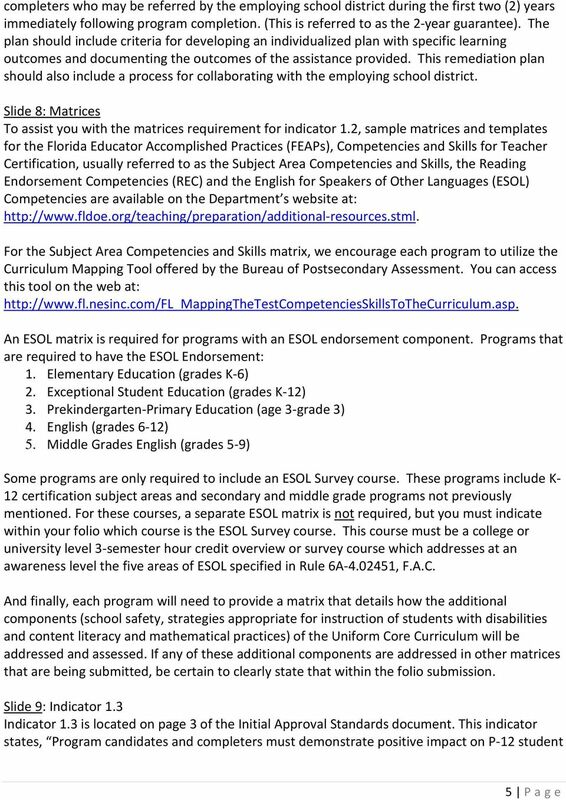 What is ESOL Training? 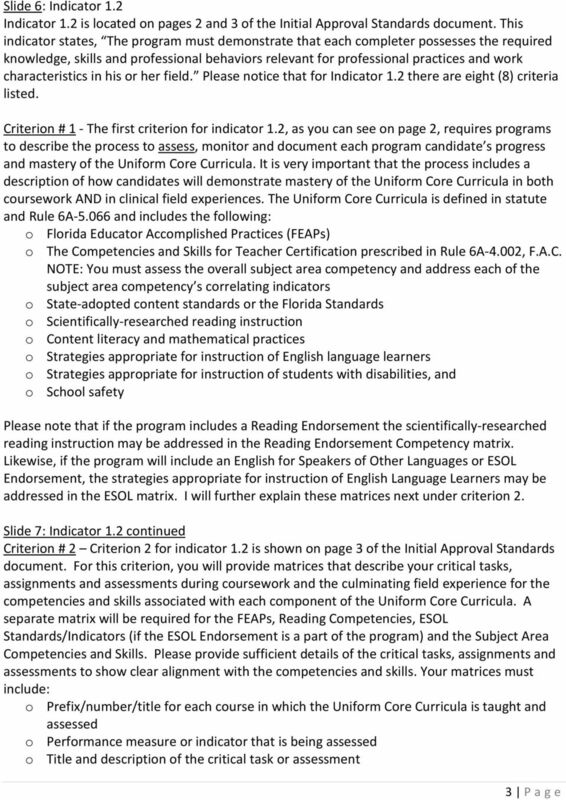 The term Accredited School does not include entities that are accredited as home study programs or non-traditional educational centers.